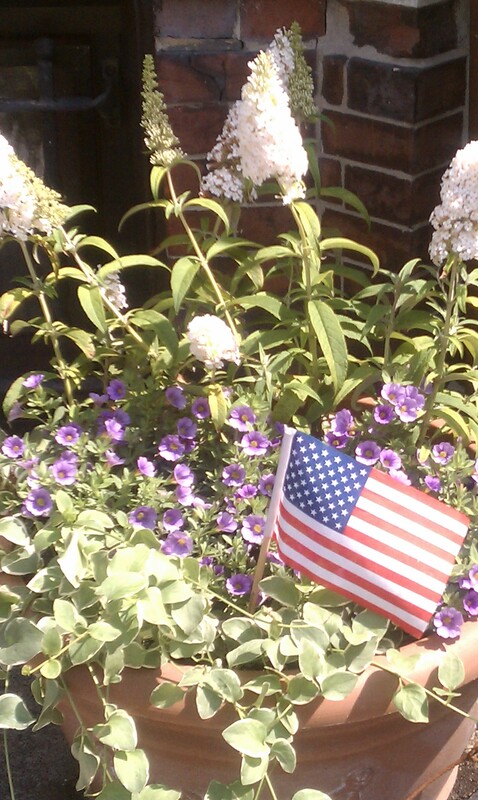 Hope your garden is blooming beautifully on this fabulous July 4th! And it’s time to take some pictures of that garden! Entries are due July 15th for Mayor Menino’s Garden Contest 2011, a citywide celebration of Boston urban gardening. This contest offers amateur gardeners like you and me a chance to show off our joy of gardening. First place winners in the eight judged categories earn the coveted Golden Trowel!!! My little tree garden was a finalist last year, so this year I’ve got my sights on that trowel! 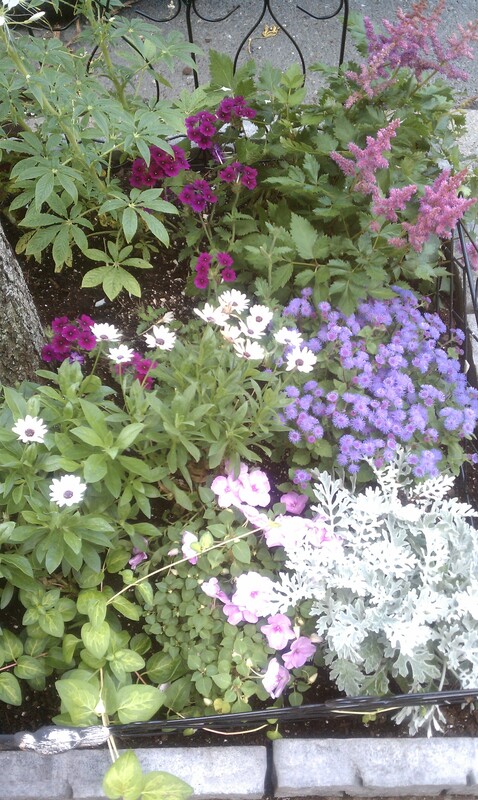 Get all the details at: www.cityofboston.gov/parks/gardencontest. Cataldo Nurseries in Littleton, MA – I had a gift certificate so took a road trip out there – and purchased a variety of healthy, vibrant new plants. Patina blue ageratum, Astilbe chinensis “visions” and Dusty Miller Silverdust. I deadheaded the African daisies, already a part of the garden, and they’re blooming like mad! Love the pops of color! My challenge every year is “neatness.” Without fail, the edging around my garden gets knocked around by the cars and pedestrians. Yesterday, my husband and I took a drill and concrete bit and finished installing corner and flat brackets behind most of the edging. That edging will be straight and tall and neat! So get out that smart phone or camera and start snapping those garden pics! Let’s make the city beautiful with a healthy dose of competition!!!! Residents and businesses are encouraged to nominate their own or a neighbor’s garden, window box, or front, back, or side yard. Only gardens planted by amateur gardeners are eligible to take part in the contest. No professionally contracted work will be allowed to enter. For all the details and the entry form, go to www.cityofboston.gov/parks/gardencontest. Looks beautiful! You get my vote.